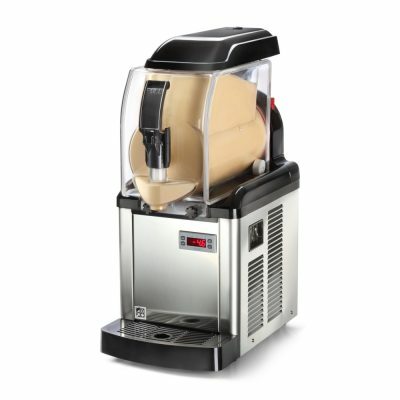 As part of the strategy to increase presence in the hospitality industry, Electrolux acquires an Italian leading manufacturer of dispensers of frozen and hot beverages and soft ice cream. The extensive product portfolio offered by SPM Drink Systems will allow Electrolux Professional to become a full-service solution provider by expanding its current beverage offering to include a comprehensive range of products. Together with the 2017 acquisition of Grindmaster-Cecilware in North America, the acquisition strengthens Electrolux presence in the fast-growing beverage segment and the strategy for profitable growth. With half a century of heritage and skilled expertise as an industry leader, the acquired operations had combined net sales of approximately EUR 30 million in 2017 and 110 employees. The company’s headquarters and main manufacturing facilities are based in Spilamberto, Modena, Italy. For more information, visit www.spm-ice.it.